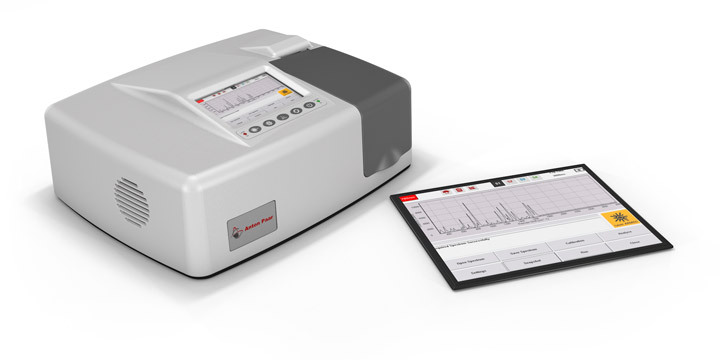 The extensive Raman spectrometer family from Anton Paar offers the right instrument for what you want to do: Identify unknown substances, verify samples in quality assurance, analyze the chemical composition of samples, or monitor their changes. 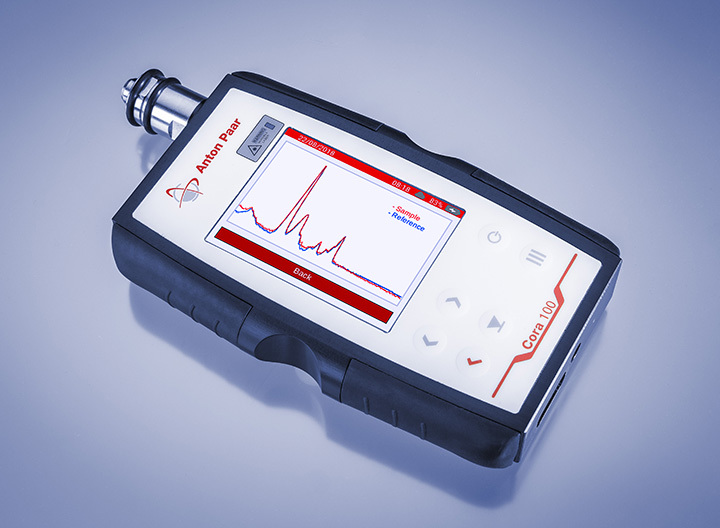 The Cora series includes a handheld analyzer for on-the-spot identification, confirmation of substances in the field, or verification measurements on incoming goods as well as a range of benchtop spectrometers for quality assurance, and for industrial and academic research. All Cora Raman spectrometers provide a full range of accessories to cover samples of different properties. 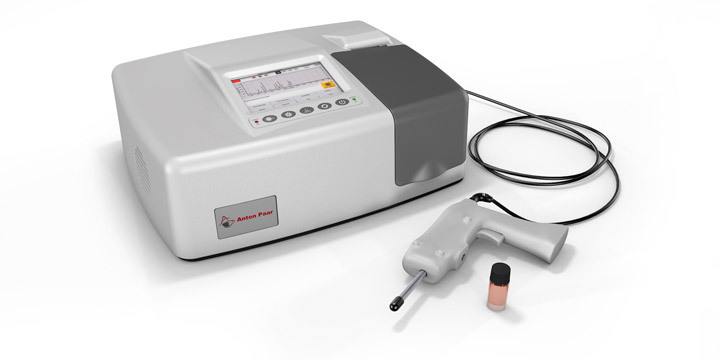 Liquids, gels, solids, or powders can be reproducibly measured using adapters, fiber probes, or special sample inserts. You have the possibility to measure contactless (e.g. through glass or packaging) on plates or in vivo (e.g. microorganisms). Whatever you need to measure, there is a Cora spectrometer to suit you: For low-fluorescence samples, shorter wavelengths (532 nm and 785 nm) create a strong Raman signal that is ideal for identification or chemical analysis purposes. Strong fluorescence in the sample, which superimposes the Raman signal, can be reduced using a 1064 nm laser. 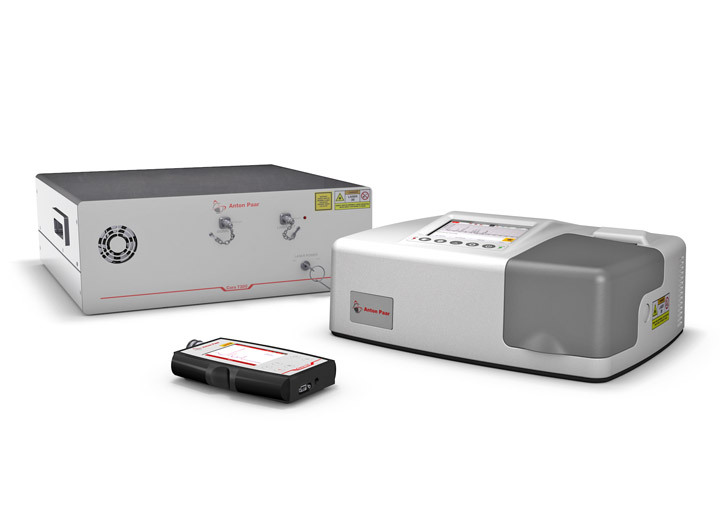 Anton Paar provides Raman spectrometers with each of these wavelengths and also dual-wavelength Raman analyzers with two wavelengths of your choice integrated as standard. 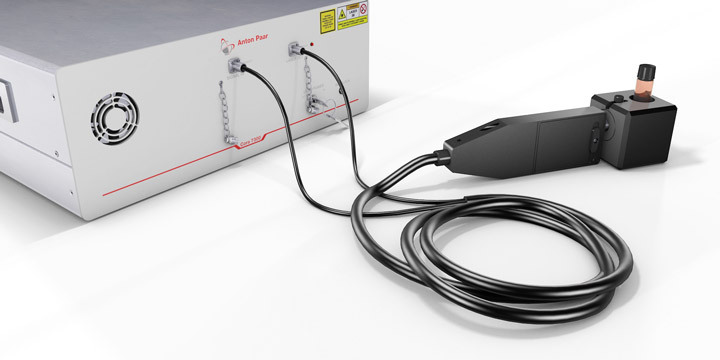 Cora Raman spectrometers require only small amounts of sample for the analysis. This is important when handling expensive samples or substances with low synthesis yields. Only small amounts of a liquid or powder are needed to generate a clear and low-noise signal. 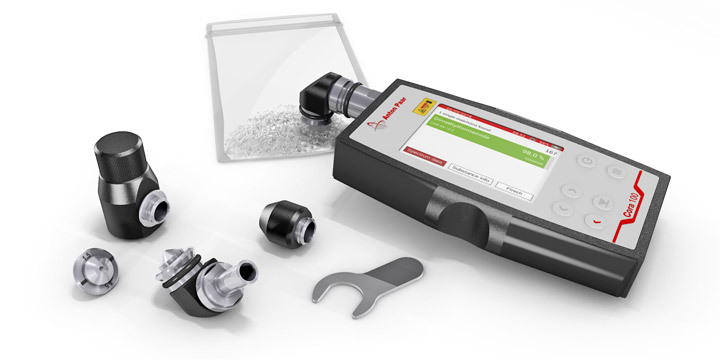 As Raman spectroscopy is a non-destructive technology, the sample can be reused after the measurement. 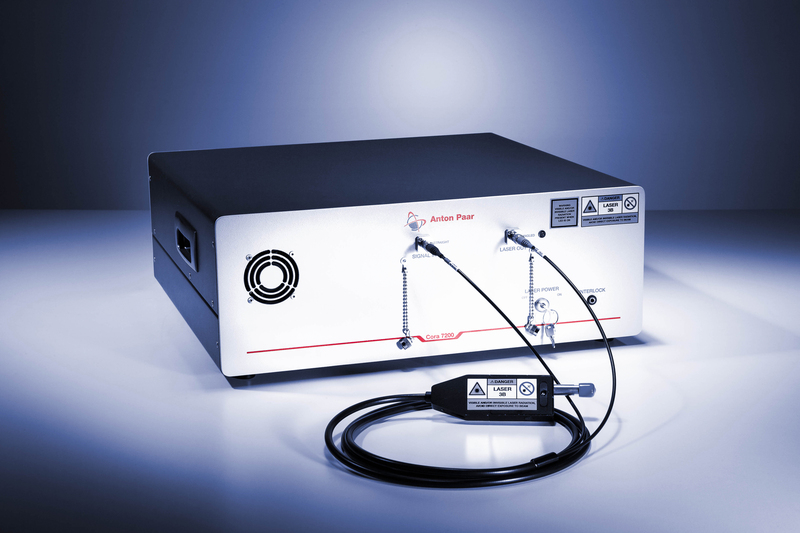 Cora Raman spectrometers are ideal for the analysis of low concentrations. A 0.16 M aqueous sodium sulfite solution or a 0.01 M ammonium sulfate solution already provides identifiable Raman spectra. 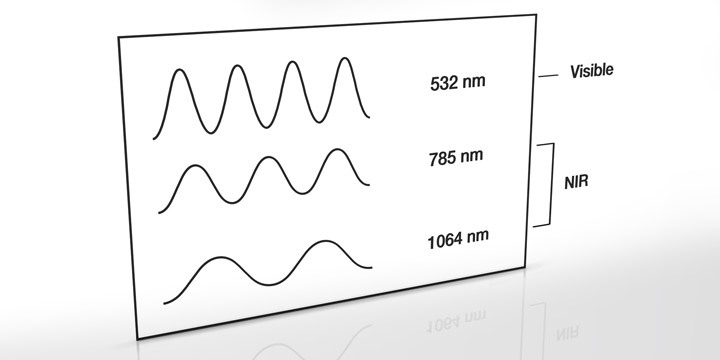 The low detection limits are possible because of the high sensitivity of the optimized optics. By using phase transmission gratings specially produced for the instruments an excellent throughput rate is achieved. 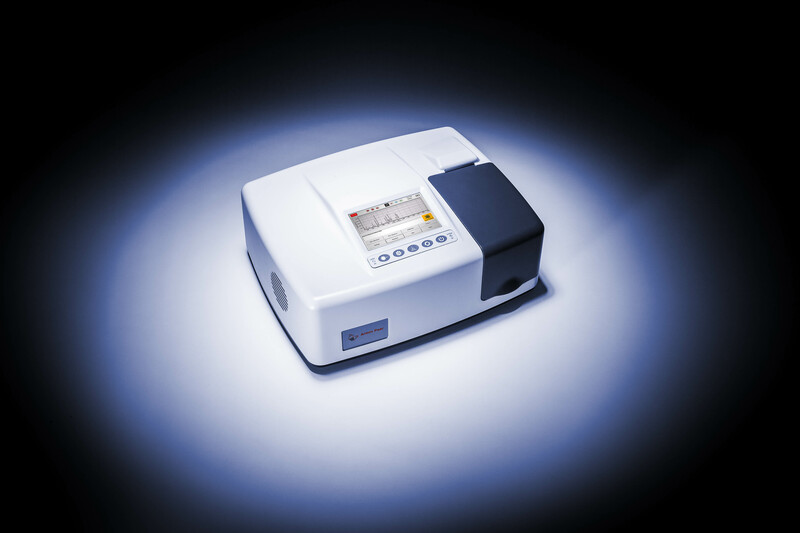 All Cora Raman spectrometers can be delivered with spectral databases containing up to 16 000 different substances. You can also create your own libraries within minutes. Special libraries for narcotics, explosives, and chemical warfare agents are available for the handheld instruments and you can identify, verify, and add new substances during your daily work.